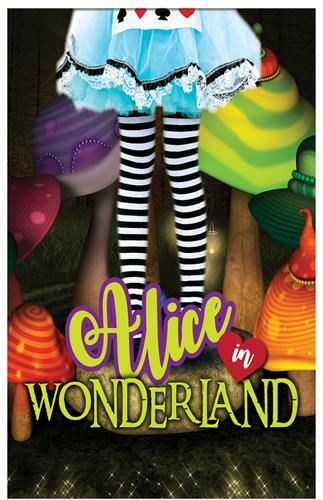 Whitefish Theatre Company presents "Alice In Wonderland"
Name: Whitefish Theatre Company presents "Alice In Wonderland"
Classic theatre for the whole family! Travel down the rabbit hole and join Alice, one of literature’s most beloved heroines, in her madcap adventures in “Alice In Wonderland”! There are drinks to make you shrink smaller and cakes which make you grow taller. You’ll meet a mad March Hare, see a cat disappear, take advice from a caterpillar, and that’s just the animals! Will Alice ever be able to solve the Mad Hatter’s riddles or will it be ‘Off with her head!’ at the Queen of Hearts’ command? In a place where everyone and everything keep getting ‘curiouser and curiouser’, this beloved, timeless classic by Lewis Carroll celebrates the pluck and intelligence of a young girl, as well as the powerful wonder of imagination. It is a must-see for the whole family!